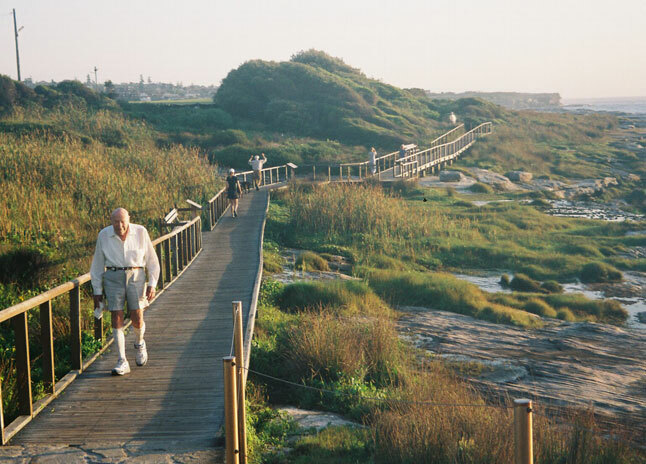 It is hard to believe that this was Sydney's first international airport. 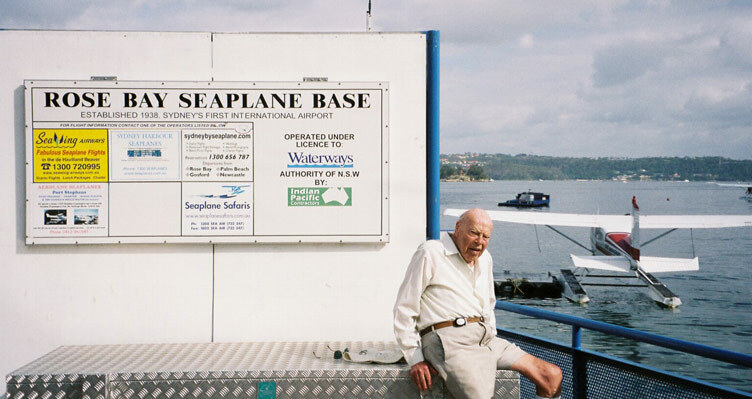 Catch a sea-plane from New South Head Road, Rose Bay. 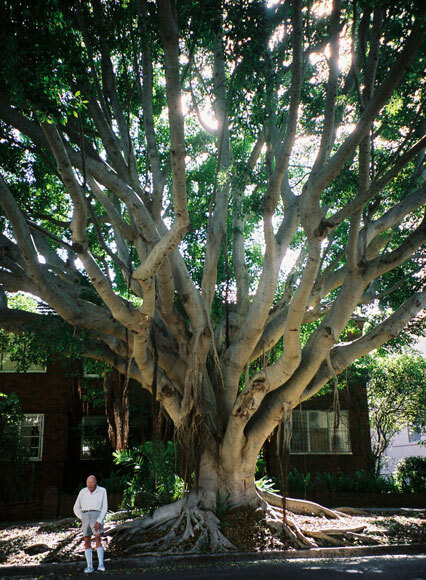 We hope this tree in Balfour Road, Rose Bay, realises it has been blessed with such artistic symmetry. 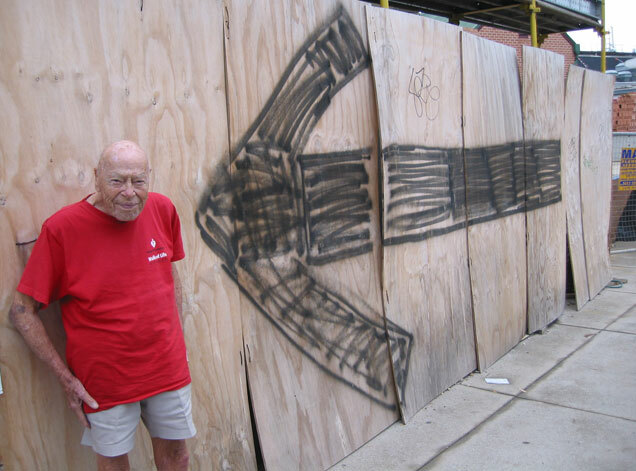 I can't see Alan. Oh, there he is, in Victoria Road, Rozelle. In spite of the proximity of New South Head Road's traffic, this is a very pleasant part of Rushcutters Bay with playing fields, parkland and, of course, the bay. 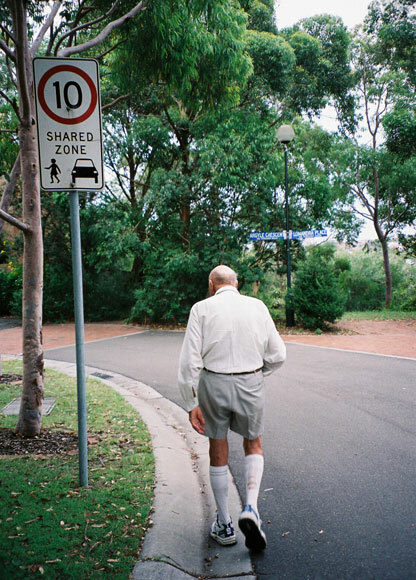 Can you find a lower speed limit in your area than this one in Argyle Crescent , South Coogee? Two photos of the coastal walk at South Coogee, when placed side by side, miraculously transform the Pacific Ocean into Pacific Lake. 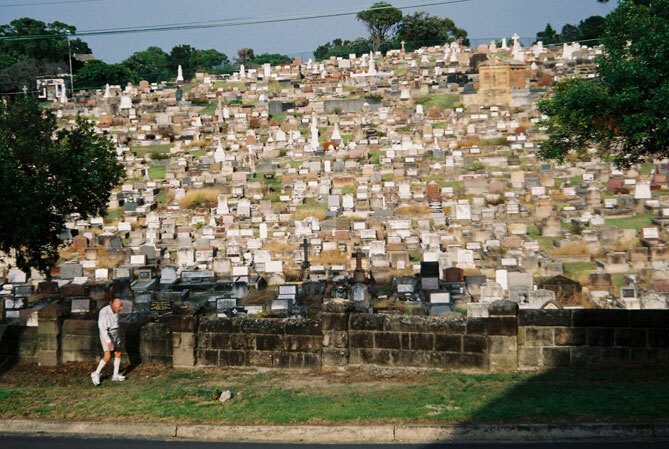 Instead of the usual flat ground, Randwick cemetery in South Coogee occupies a Malabar Road hill. Early sunlight creates an eerie atmosphere on the coastal walk around Honeycombe Bay, South Coogee.